Find all the information you need to know about gyms in New York before you book your membership, and save tons of money and time! 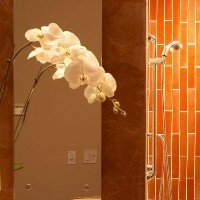 Scroll through our extensive list of NY gyms and find out which one contains amenities that best fit your needs. One of the Top Quality Gyms in NY! Get the workout of a lifetime at Tribeca Health & Fitness! Take advantage of the extensive selection of Nautilus equipment and free weights. That's not to mention the great selection of cardio machines which includes treadmills, treadclimbers, Ellipticals, Stairmasters, freeclimbers, and stationary bikes. Plus, you get access to a juice bar and numerous workout classes! 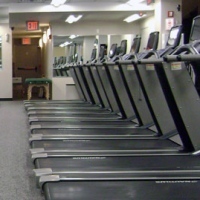 Tribeca Health & Fitness prides itself on its clean facilities, top quality equipment, great amenities, topnotch customer service, and affordable rates. Hours are 5 A.M. to 11 P.M. on weekdays, and 7 A.M. to 8 P.M. on weekends. Sign up for Tribeca's newsletter on the website and get a free smoothie from the juice bar! 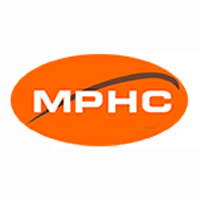 MPHC is one of the gyms in NY where you can find a wide range of activities for enthusiast, training, and family activities. Apart from their cardio and weight training gym, the gym-goer can take advantage of the pool, tennis courts, and spa services offered to members. Should you decide to avail membership, the club hours are as follows 6am - 11pm on weekdays and 8am-9pm on weekends. They have special children's hours that run from 10am - 3:30pm as well. Equinox has stood for innovative physical fitness for years. Famous for their emphasis on health and wellness, as well as the skill of their instructors and trainers, this is not a gym you would want to miss searching out New York for. Fortunately, there are 25 Equinox fitness clubs scattered around NY, all of which are easily accessible by any means of transportation. 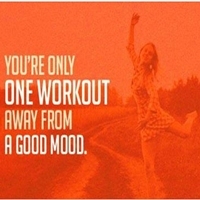 So get motivated! Get Fit! Get Healthy! Try Equinox from 5:00am to 10:30pm on Mon-Thu, 5:00am to 9:30pm on Fri, 7:00am to 8:00pm on Sat, and 7:00am to 7:00pm on Sundays. If You're Ready to get to Your Best Shape of Your Life, or Just have some Fun, be sure to come to 24 Hour Fitness! The gym offers Cardio Classes, Boot Camp Classes, Cycling Classes, Dance Classes, Kick Boxing and Martial Arts, Les Mills Classes, Mind and Body, Active Aging Classes, Aqua Classes and many more. All of these exercises include top gym equipment and music accommodates each session. Operating hours are Monday to Saturday, 24 hours per day with rare exceptions. Get That Dream Body at David Barton Gym! 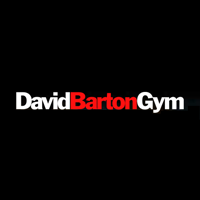 You won't see a more compelling place to get your muscles working than David Barton Gym! This New York gym has everything you might need to get the body you always wanted in an environment that makes sweaty workouts interesting. Take the chance to see their unique take on physical fitness in several gyms around NY. For the best fitness equipment in the most inviting gym atmosphere, check out David Barton Gym from 5:30am to midnight on weekdays and 8:00am to 9:00pm on weekends. Sign up for their one day free promo to see what they are all about. Don't miss out! One of the Best Gyms in New York! Take advantage of the competitive membership rates at Steel Gym! Whether you need an aerobic workout or strength training, this gym is one of the best in NY. And for afters, their juice bar and health shake recipes rejuvenate the body for another bout of exercise. Get to your peak body fitness with one of Steel Gym's 30 independent trainers! They are open 24 hours on Sunday - Thursday, up to 12am on Fridays, and 7am - 10pm on Saturdays.